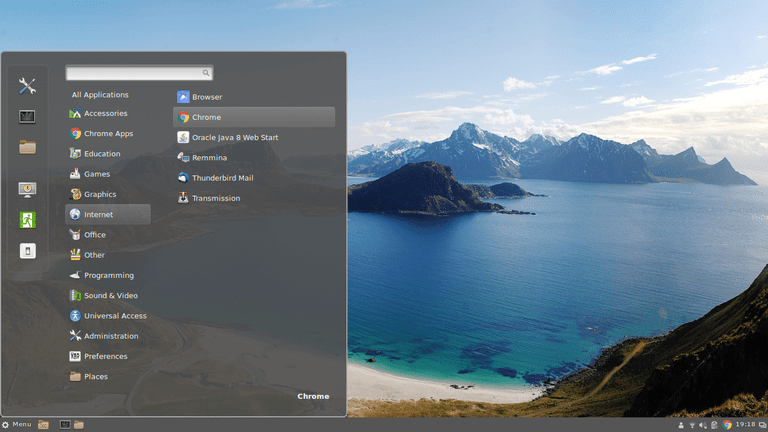 The Cinnamon desktop is much more Windows-like than Unity, Ubuntu's default desktop environment — so if you're a Windows user, you'll probably find Cinnamon particularly user-friendly. Here's a guide to installing the latest version of Cinnamon as well as a few useful tweaks. The version of Cinnamon in the Ubuntu standard repositories is not the latest version available, but it is adequate for most people's needs. (If you want to install the very latest version, see below.) Whichever version you wish to use, you should install Synaptic so that you can find and install Cinnamon easily. Synaptic comes in very handy for other tasks, too, such as installing Java. Open a terminal window by pressing Ctrl+Alt+T. Enter sudo apt-get install synaptic﻿. To launch Synaptic, click on the top button on the Ubuntu launch bar and enter Synaptic into the search box. Click on the Synaptic icon. To install the version of Cinnamon in the Ubuntu repositories, click Search and enter Cinnamon into the box. Place a tick in the box next to Cinnamon-Desktop-Environment. Click Apply to install Cinnamon. Click on the Search button and enter Cinnamon into the box. Click Apply. Cinnamon is now installed. To install the latest version of Cinnamon, you must add a third-party Personal Package Archive (PPA) to your software sources. A PPA is a repository that a person, group, or company other than Ubuntu developers has created. The upside to using a PPA is that you get the latest version of the packages; the downside is that Ubuntu doesn't provide support for them. To open the Synaptic Package Manager, click on the top icon on the desktop and enter Synaptic into the search bar. Click on the Settings menu and choose Repositories. When the Software & Updates screen appears, click on the Other Software tab. Click Add at the bottom of the screen. Into the box provided, type ppa:embrosyn/cinnamon. When you close the Software and Updates form, you will be asked to reload from the repositories. Click Yes to pull in all of the software titles from the PPA you just added. Click Search at the top of the Synaptic window and enter Cinnamon. Click Apply to install the Cinnamon desktop. The latest version of Cinnamon should now be installed. Reboot your computer or log out of Ubuntu. When you see the login screen, click on the white dot next to your name. Click on Cinnamon and then enter your password as usual. Your computer should now boot into the Cinnamon desktop. Right-click on the desktop and choose Change Desktop Background. Click on + at the bottom of the Backgrounds screen. Select Add folders > Other Locations > Computer. Choose the image you wish to use as a background. Now that you're able to use the menus to launch applications and navigate around your system, check out the multitude of ways you can customize Cinnamon. Cinnamon is the default desktop environment for a flavor of Ubuntu known as Linux Mint. If you haven't installed Ubuntu yet and you would prefer your desktop to function more like Windows, try installing Linux Mint rather than Ubuntu; Cinnamon has already been customized to work perfectly. If you've already installed Ubuntu, though, creating a Linux Mint USB drive and replacing your Ubuntu operating system with Linux Mint would be overkill. You might also want to use Ubuntu and not Linux Mint if you desire the latest in Linux development. Linux Mint bases itself on the long-term support release of Ubuntu. This means you get the latest stable release of Ubuntu, including security and package updates, but you don't get newer features offered by incremental updates to that release. With this in mind, you might prefer to use Cinnamon on Ubuntu rather than on Linux Mint. Ubunwho? These 10 Alternative Linux Distros are Great!